The Credit Linked Subsidy Scheme has been introduced to improve the conditions of the micro industries. The scheme is being introduced by the ministry of small scale industries and the development is for improving the technological support for the industries that are struggling to find their feet. The scheme has been introduced to upgrade and provide better facility for the technological up gradation. The improvement in the field of technology is also made with the help of subsidies. Under this particular scheme the people are provided with the 12 percent capital subsidy and thereby the small scale industry owners are getting better support to have the access for better technologies. As per the calculation it is estimated that the amount of Rs 40 lakh after the revision of the scheme. The insufficient technology has made the industries to come with some of the major issues and among these issues the major problem is because of the technological fault. The technological issues are reducing the efficiency as well as consuming more input. So it has reduced the overall income that the organization is expecting from the firm or the industry. With the introduction of the scheme, the enterprises could able to match the demand of the market and that will also allow the firm to have better production. This has ultimately helped the people involved with micro industries to have better success in their field and thereby they can have better income out of it. Through the scheme, ministry of small scale industries is trying to establish a better financial condition for the people involved with the small scale industries. The scheme has also helped the government to maintain the equal distribution of income among the people thus establishing a sound economic background for the nation. It has also helped the industries to have sufficient supply of products and thereby the market condition remains in the balanced state. It is also helping the small scale industries to have better development and thereby people involved with such industries are having better income from the support that is provided by the government. Implementation of such scheme is helping the small scale industry to transform their size and capacity to medium scale industry or large scale industry. The plants or the machinery that is under scheme is liable to have 15 percent supports with the help of government and if any loans are sanctioned by the small scale enterprises then it should be on or after 29th September 2005. If an individual is hiring the machinery or equipments then he or she is liable to have the support from the government under this particular scheme. The industries that are transforming themselves from the small scale industry to medium sized industry with the support from the CLCSS are also liable to come under this particular scheme. The agencies may not be trusted all the time so the is not all related with any scheme that is going create problem in future. 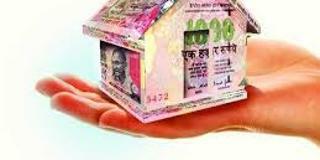 Therefore one has not to come up with any of the documents that are indicating loan in terms of refinancing through the Nodal Agencies. The industries that are dealing with the labors or the exports oriented with the new sectors are also liable to come under this particular scheme and enjoy the benefits that are provided by this particular scheme. In the modern era, the implementation of technology is very essential as it improves the accuracy as well as the rapidity of the work. So to implement such technology some investment is very essential and to have proper investment the ministry of small scale industry has established the Credit Linked Subsidy Scheme. The scheme is aiming at technological development and the development is achieved by modifying the devices that are being used to manufacture the goods and services. It has also allowed the owners of small scale industry or the eligible persons to have better machinery and thereby the industries are manufacturing good number of products and that is directly benefiting the development of the enterprises. The technological development is also indicating the induction which mean near state – of – the – art – technology or state – of – the – art. Such steps have helped the nation to have the services of the small scale industry with more than 7500 products. This has helped the Indian small scale industry to improve their status and they can become large scale industry or the medium scale industry. The scheme was launched in October 2000 and since then it has been a useful scheme for the development of the nation. With the industrial development the nation is getting better exposure and that is directly leading to the development of the nation. The scheme has proved to be useful and that is why it has been modified in 29th of September 2005. The revised scheme has helped the micro as well as small industry to expect a subsidy of 15% capital which is eligible within the limit of rupees fifteen lakh. is this scheame for buying our build house? I WILL PURCHASE ONE FLAT IN 2015 AND 2016-17 I WILL RECEIVED LETTER FROM BANK YOU ARE ELIGIBLE FOR PRADHAN MANTRI AAVAS YOJNA SCHEME FROM STATE BANK OF INDIA-GANDHIDHAM BRACNH AND I WILL PROCESS THE SAME BUT STILL I WILL NOT RECEIBVED ANY BENIFITS FROM GOVERNEMENT AND BANK OFFICER WAS NOT REPLYING PROPER.